Want Free Access to Cal Bellini Pics & Clips? Cal Bellini was an epic action actor who originally hailed from Singapore. He acted in so many films before he died in 2014 in Pebble Beach; but prior to that he starred in Project UFO (1978), The Mountain Men (1980), Law of the Land (1976), Waikiki (1980), The Asphalt Cowboy (1980), Hawaii Five-0 (1978) and Little House on The Prairie (1974). 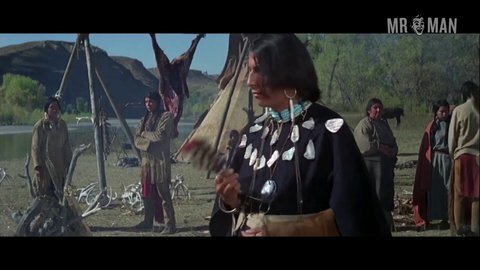 In Little Big Man (1970) he plays a shirtless Native, wearing a loincloth and otherwise proudly displaying his lean chest and arms. We want him to lift that loincloth so we can see how little or big his man downstairs is!